Walk South Wales07866 549896work Guided WalkOur walks across South Wales have all been carefully handpicked for their history, natural beauty and cultural importance. We run tours to the Brecon Beacons, Wales Coast Path, Wye Valley, Castell Coch, Monmouthshire/Brecon canal and Gwent Levels. Walk South Wales provides unforgettable journeys and experiences to some of Wales most iconic locations. Relax and savour the moment as we unravel the sights and stories of South Wales as you walk through its scenic and varied landscapes. As experts in sightseeing and driven by service, we’re passionate about creating memories which will last our guests a lifetime. Our walks across South Wales have all been carefully handpicked for their history, natural beauty and cultural importance. 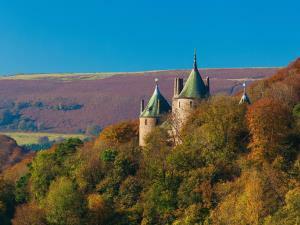 We run tours to the Brecon Beacons, Wales Coast Path, Wye Valley, Castell Coch, Monmouthshire/Brecon canal and Gwent Levels.